← How to Read & Decode Barcode Images in C#.NET? From image resources of PDF document using VeryPDF Barcode .NET SDK. From image resources of PDF document using VeryPDF Imaging.NET SDK. If PDF document contains barcodes which appear on image resources of PDF page and are encoded by algorithms or in color spaces not supported by VeryPDF Barcode .NET SDK, then such barcodes can be read using VeryPDF Imaging.NET SDK with necessary Plug-ins. From rasterized page of PDF document using VeryPDF Imaging.NET SDK. 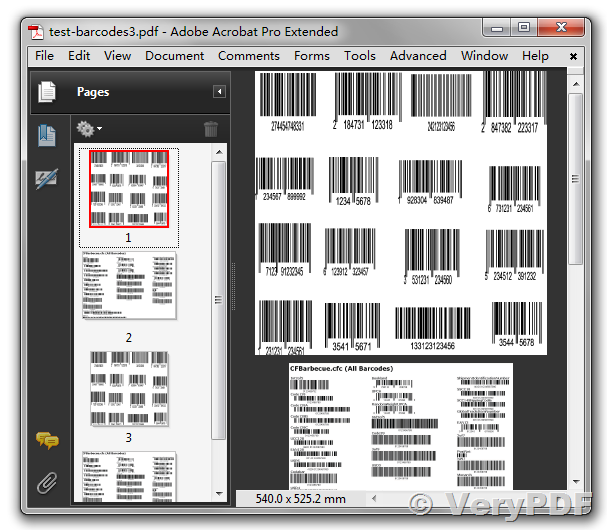 If PDF document contains barcodes which appear in vector form then such barcodes can be read after rasterization using VeryPDF Imaging.NET SDK with necessary Plug-ins. This entry was posted in Barcode Generator and tagged barcode api, barcode image, barcode ocr, barcode reader, barcode recognition, barcode sdk. Bookmark the permalink.